Fundația Ceata (website: https://ceata.org), the Romanian foundation for Free Software and Free Culture, is looking for skilled logo designers around the world to contribute pro bono with logo proposals for Ceata, one of which will be selected to represent the identity of the organization. Designing the logo of Ceata has been a challenge for the group since the start, in 2008. Why, you will find below. 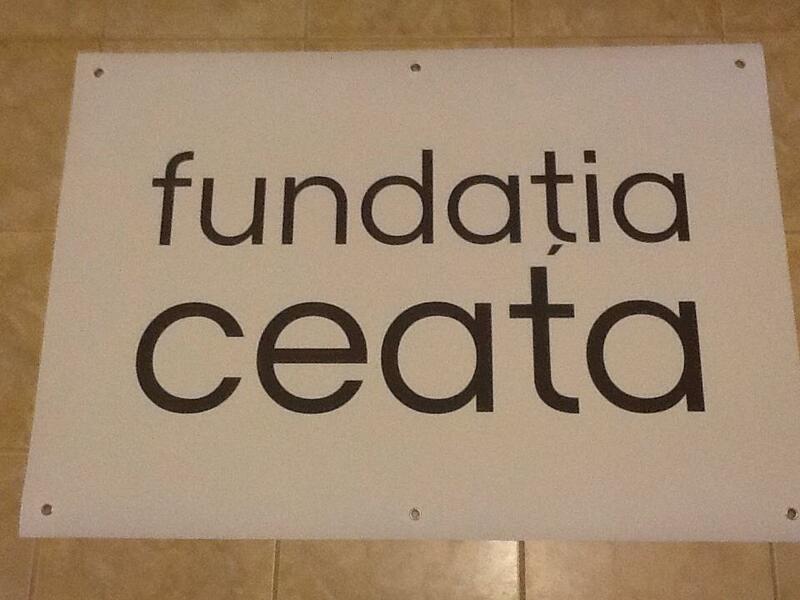 Since 2012, lacking a representative logo, Ceata has been using a temporary text-only logo saying "fundația ceata", one word per line (see here: https://wiki.ceata.org/images/c/ca/Banner-mic_ceata.jpg). However, for a successful promotion of the organization and the ethics of Free Software and Free Culture for which it stands for among Romanian-speaking users and developers, Ceata needs a meaningful logo, one with personality. Are you a logo designer? Can you make this happen as a form of contribution to Free Software, Free Culture, and Romania? Then please read on about Ceata brand. Ceata (pronounced [ˈt͡ʃe̯a.ta]) is a Romanian old common noun simply meaning "group of people" (gathered for a purpose). Tiberiu, the Founder, chose it almost 8 years ago as the name for the new group for two main reasons: 1) it has gone into disuse, so the group could be easily identifiable by this name and 2) he could find the most appropriate meaning for this recursive backronym: "Ceata eliberează artele și tehnologiile actuale" which translates to "Ceata liberates the arts and the current technologies". This also serves as motto of the group. Designing a logo for Ceata has been a challenge since the start because it literally means "group" and everyone knows one cannot get too innovative drawing a simplified form of a group. There simply aren't a lot of ways of doing this and probably someone needs to think out of the box. Flying doves or wings representing freedom aren't uncommon either. Ceata logo, as any good logo, should be unique and easy to understand, memorize and reproduce. A nice touch for the logo would maybe be to have a clever negative space on one or more letters which might symbolize one or two of the keywords: liberation, activism, group, software freedom, culture freedom, Romania. The best logos which their authors agree to release them to the public under the license Creative Commons Attribution-ShareAlike 3.0 or later, even if are not chosen as official logo, will be showcased by Ceata as alternative logos to be used by community. The artists will be publicly credited in Ceata's communication of the logo challenge and will receive a thank you letter from the President of Ceata together with a photo of Ceata's volunteers proudly displaying a printed version of the alternative logo at Ceata's events. As for the winner, besides the credit, Ceata will record and send enclosed in the letter of the President a thank you video with Ceata volunteers dressed in T-shirts branded with the new logo. Do you want to define Ceata's identity? Please send Ceata your questions, ideas and logo proposals at emblema@ceata.org.